Amidst the department store sales and barbecues that are now a hallmark of Memorial Day in the US, one fascinating origin story of this day for honoring the dead and the tradition of dining with them has been forgotten by most. In the years following the American Civil War the act of decorating graves with flowers began on different days and different places around the South. 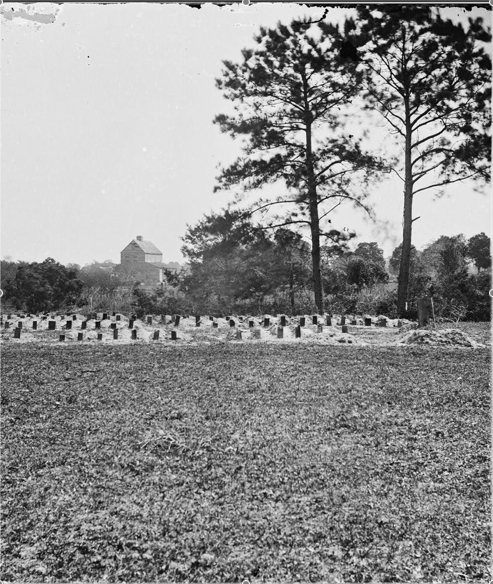 One act of memorialization of the dead took place in Charleston, South Carolina on May 1, 1865. When the Union soldiers finally moved into Charleston, the remaining Confederates evacuated the city, leaving the newly freed behind. 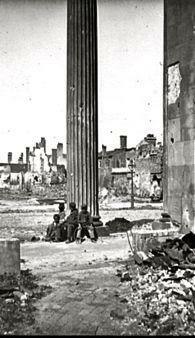 These formerly enslaved people and soldiers began organizing themselves among the ruins left them. During the war, Confederate soldiers had converted the Washington Race Track into a jail for Union soldiers. Here, approximately 260 Union soldiers died from disease and exposure and were buried in a mass grave on the grounds. The Black community in Charleston reinterred the dead and constructed around the newly formed cemetery, a white-washed fence and an archway at the entry to the grounds. On it, they painted the words, “Martyrs of the Racecourse.” When this noble work was finally completed, a parade was held with some 10,000 in attendance. Leading the way were almost 3,000 children, their small arms heavy with bouquets of flowers which they placed over each grave as they passed. Several preachers delivered addresses and the children sang American the Beautiful as well as a number of spirituals. The cemetery was formally dedicated to the dead, then family and friends dispersed to various places around they cemetery and had what may have been the first, formal instance of a Dinner on the Ground – a ritual meal held in the cemetery as part of the proceedings. Dinners on the ground are of course, a social event, but they can also hold a unique spiritual aspect, with the reciting of prayers and singing. The meals are communal potlucks. Often ladies of the community are known for a particular dish that is their specialty and people in their community excitedly anticipate getting to eat these favored dishes at the event. 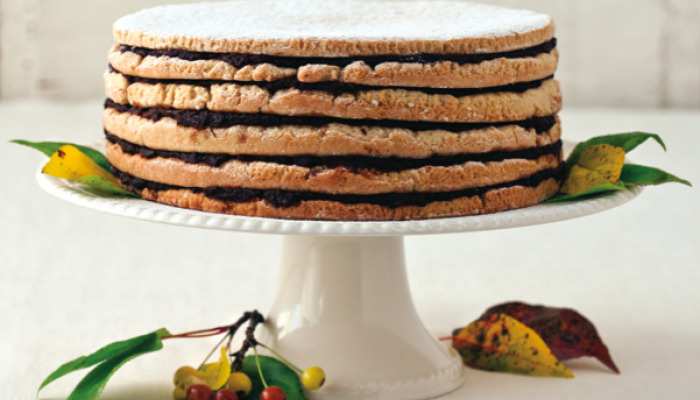 Tables are laden with fried chicken, green bean dishes, potatoes, and there are many accounts of a very unique cake, typically associated with weddings – the stack cake. This cake looks like a tall stack of pancakes with an apple butter type spread in between each layer. In areas with large or disadvantaged families, each member would be expected to contribute a single layer of the cake which would be assembled into a single stack. This bit of Memorial Day history should be remembered and honored far more than it is. A perfect reading to put into practice for everyone on this day is Frederick Douglass’ speech, “The Unknown Loyal Dead” delivered at Arlington National Cemetery in 1871. The tradition of dining with our dead is a lost art and one I hope you, too, will be inspired to bring back. This entry was posted in Uncategorized and tagged American South, Decoration day, Dinner on the Ground, Food History, Memorial Day. Bookmark the permalink.